Here’s how to fix Kodi 17 or 17.1 Krypton Windows SMB connection timed out or not working issues on a compatible platform Kodi is running on. If you have been having problems with Kodi 17 / 17.1 Krypton accessing locally stored media using the Windows SMB protocol, then you are likely finding yourself in an entire state of confusion. It can not only be difficult to actually identify the problem, but to also implement a fix which will remove the frustration from trying to do what seems like a relatively simple task. 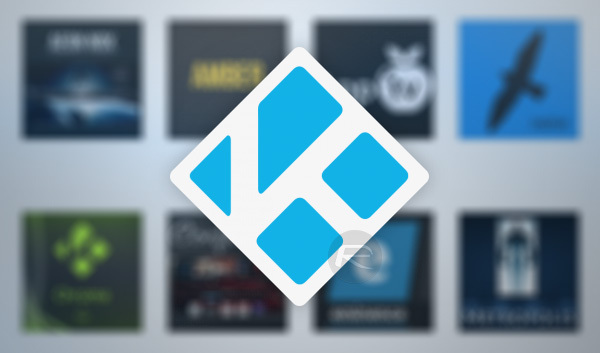 There is definitely no denying that the Kodi media center is exponentially growing in popularity. Predominantly because it can be installed on relatively low-cost Android-based devices like Amazon’s Fire TV Stick, which makes it easily accessible and affordable for homeowners to create a bespoke media center experience. That all sounds wonderful, and when it works it actually is an amazingly powerful experience, but when it goes slightly awry, such as experiencing the aforementioned SMB issue, there’s little resource to turn to for assistance. A lot of Kodi users use the platform to add repositories and online resources that will allow them to access and stream remote content through the Kodi client and onto their television sets. However, there are also a fairly significant number of owners who prefer to have the content stored locally on a local server or drive, and therefore use Kodi client on a device as a single point of access to that content in order to use it around the home. And that is where the problem can occur with some users getting error messages like “connection timed out” or “invalid argument” when trying to do exactly that via the Windows SMB protocol in Krypton. 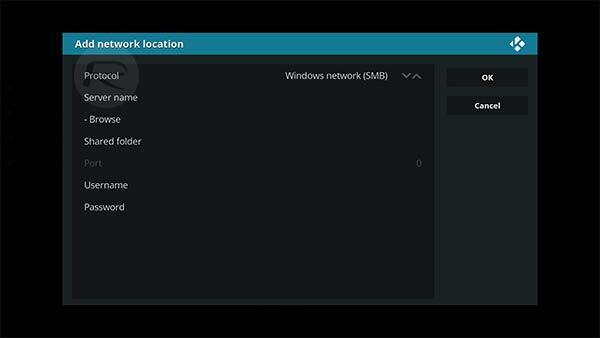 The Windows-based SMB protocol basically defines how files can be shared from that installation to another machine, such as a Kodi client. When an error message such as the ones above are presented, or the process simply times out without success, the trick on Kodi Krypton is to actually amend the settings to use IP addresses rather than the hostnames. This is likely due to a bug present in Kodi 17 and 17.1 Krypton which will hopefully be rectified in a future release. Once that change has been made to the internal settings of the Kodi client, restart the Kodi client and then attempt to repeat the process again. You should find that the problem has now been eliminated and you should be able to successfully access that local content via the SMB Protocol. In my experience, the major problem with OpenElec/LibreELEC is that they default to such a way that they take over as ‘MasterBrowser’. Even though my ‘server’ is the MB. When these Kodi instances fire up, they take authority away from my server and assume the MB role. Once I edit the .conf files to disable MB and reboot them, and then my Window box, SMB shares (via name, not IP) start working again. i have this problem with kodi 17.3. i cannot connect to my smb network shares. kodi 16.1 works well no problems. i cannot find any the settings to use IP addresses rather than the hostnames. in kodi 17. how can i change this setting? and how di i change the master browser to off? This doesn’t work. I used to access my NAS using SMB. Since I upgraded to Krypton, it stopped working. The Lock Preferences window always pops up to ask for credentials to access my NAS. When I enter the username and password, it pops back again. This is a really annoying bug because I cannot access my content anymore. Can you also tell us noobs how to do that? kodi on ubuntu has really sucked. I am wondering if anyone else has this problem. I have the share connected by SMB//(physical IP address)/server/sharename, and it works fine, until it loses it’s connection and can freeze up right in the middle of a movie/show. I then have to do a pkill and relaunch kodi. This works for about 10+ times, and eventually I have to reboot when I can no longer brows my files stored on my local Apple Airport NAS. I can still access the NAS fine from other computer, and even from ubuntu on the same box that’s hooked to my TV. I think it’s kodi that is the fail. It is hard wired gigabit. Any ideas? I tried restarting the network service, but I was looking for a way not to reboot. The ideal solution would be to figure out wth is causing this and fix it, but if it can’t be fixed, I would like to avoid reboot for now, until kodi fixes it. The Kodi on my Shield TV kept on forgetting the Samba username and password. The Samba share was correctly accessible from other devices. I always needed to restart the PC (W7) that was running the Samba share in order for Kodi (Shield TV) to find the share again. And then always after a few days, Kodi would give the Error Connection timed out when trying to access the SMB share.